Even without adding on "California" or "University" the mere word inspires visions of counterculture, activism and social justice. This was after all a hotbed of activism through the 1960s and beyond, the birthplace of the Free Speech Movement as well as the new type of California cuisine that focused on fresh, local ingredients. Just down the street is Alice Waters&apos; renowned Chez Panisse, a leader in rethinking our relationship to food and focusing on organic food and urban farming. This is all to say that Berkeley is so often thought of as the social and political utopia of left-leaning food lovers, a place where urban farming thrives, kale practically grows wild, people dream of backyard goats and you can be sure that home-brewed kombucha is served in mason jars. But even here, the drama between the public good and corporate interests continues to play out, proof that even there is always more work to be done in order to ensure healthy, strong communities. "Occupy the Farm," a documentary by Todd Darling, takes a look at the social/agricultural movement that took place in the East Bay to not only protect a spot of public land from corporate development, but to ensure that it got used as a place for urban farming. Darling had been doing research for a TV series on urban farmers in Oakland, and had been meeting many farmers in the process. At about the time the momentum for the show died out, Occupy Oakland had gotten underway, and Darling found himself running into some of the same farmers he had met previously. 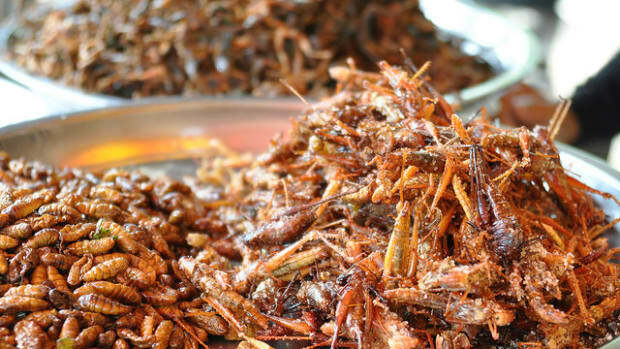 The link between social activism and food clicked. 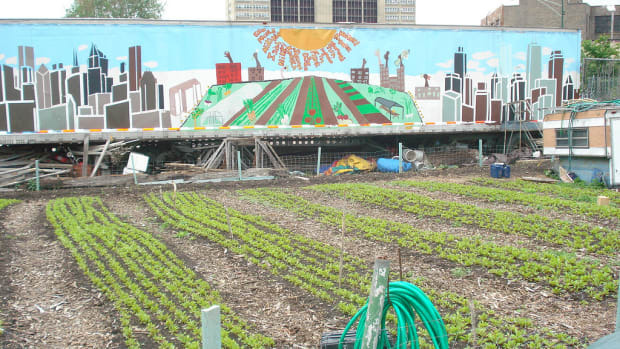 "I realized immediately that some urban farmers were joining forces with people from Occupy. I didn’t know who or when, but I knew it would be over some piece of land, and that would be a film, a potentially epic film about food justice," says Darling. A group from the Occupy movement went for the Gill Tract, a 104-acre piece of land owned and operated by the University of California in the East Bay. Previously used by the university as an experimental farming station, the land was now destined for development as a shopping complex. Then there was the question of part of the land being used for genetic research, helping large agribusiness create patents. 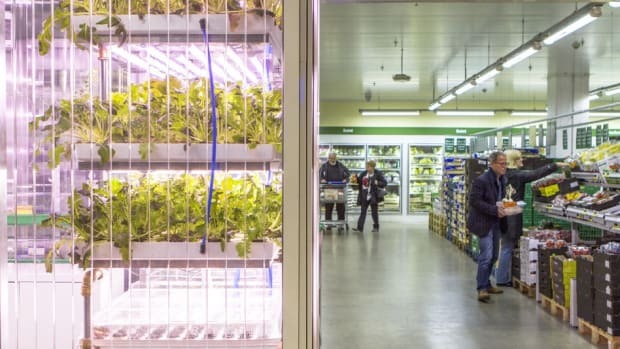 The activists though that a better use would be to use the land to "create urban agriculture alternatives and meet local needs in the face of economic and environmental crisis." According to Darling, "because this is public land, its dollar value is in competition with its potential to do public good. And since UC Berkeley is a &apos;land grant college,&apos; its charter requires them to teach agriculture for the public good." To the north and south were food deserts. 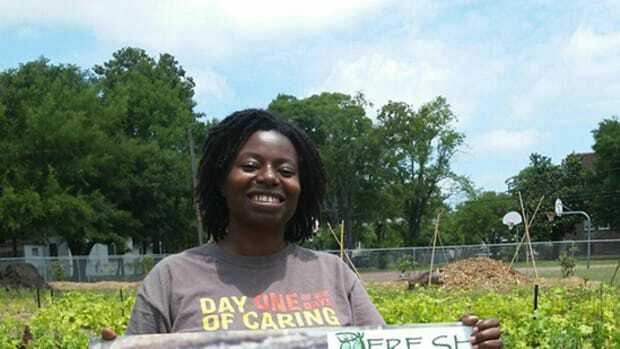 The activists saw an opportunity not only for urban farming, but to impact the health and vitality of these communities. On Earth Day 2012, 200 activists cut the bolt on the gate, and walked onto the Gill Tract with 15,000 seedlings to launch their urban farming dreams, clashing with the university along the way, and ultimately, being subject to police force. 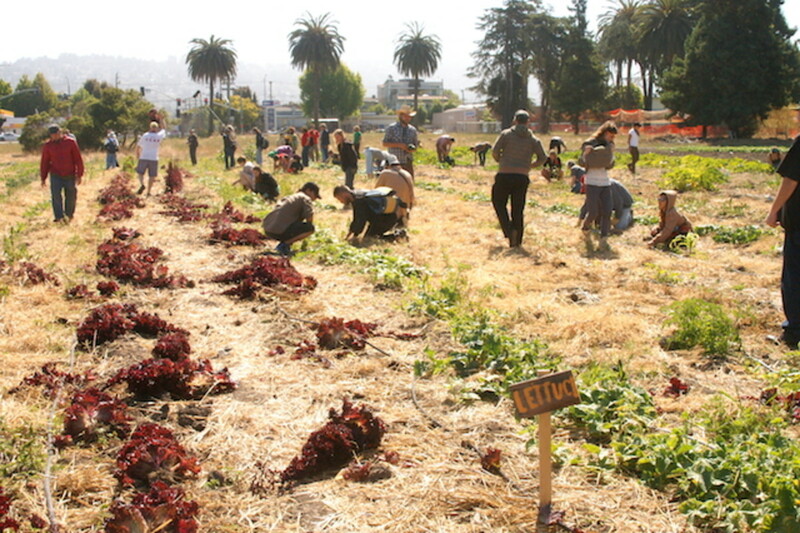 The goal for the Gill Tract was "to establish a productive farm and preserve this rich natural resource in perpetuity, emphasizing much needed research into sustainable urban agriculture, open access, and participation by the larger East Bay community." What shocked me in the documentary wasn&apos;t the behavior of the activists. It was motivating to see so many people from the community coming together to fight to protect the space, and use it for the public good. 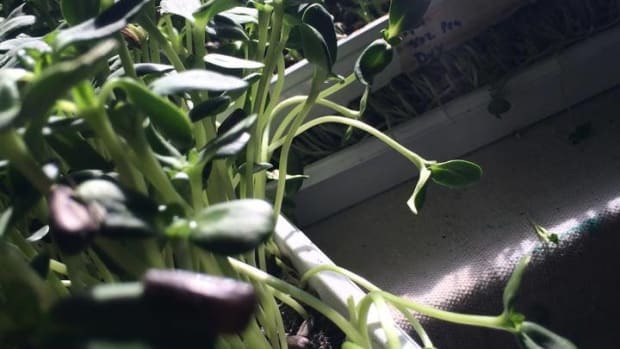 While watching it, I started to wonder what I could get done in my own community with a little willpower and a few seedlings. No, what shocked me was the response of the Berkeley administration. A reminder, that even here at this public institution that&apos;s known as a bastion for socially progressive policies, corporate interests take precedent over public ones. That being said, the inspiring aspect of this film is that ultimately the activists do win out, proof that collaboration and collective action can work. "In the case of "Occupy The Farm," it was not just ordinary people with an extraordinary dream. It was people with no resources at all going up against one of the most powerful institutions in the State of California and demanding change. If you have a vision that you value more than your own safety and security, you have tremendous power. That&apos;s the source of all successful activism: Being able to ignore the dominating value system of money, status, power and security, and choosing to value something else instead," says "Occupy the Farm" producer Steve Brown. 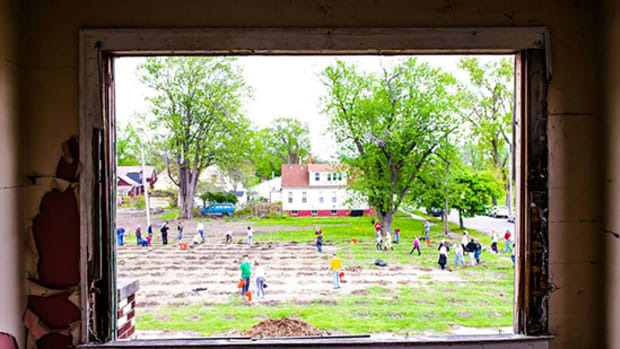 tilling soil and planting vegetables to serve people in need," says Brown. What makes "Occupy The Farm" an interesting story is to see where they ended up. 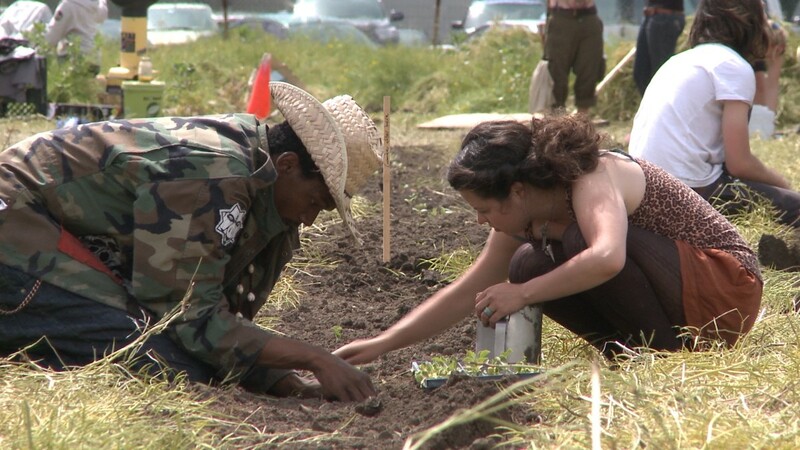 The Gill Tract Community Farm is described as a "a collaborative community project between the UC and the community, focused on issues of food justice and urban farming." It&apos;s quite an amazing outcome, given where they came from. It shows that the University is not inherently the conservative power, but institutions need a process for innovation, change and yes, disruption, or they will become tyrants," says Brown. For Brown, it&apos;s a reminder that, "ordinary people can have a profound impact, but you need to walk away from the values of dominance in favor of the values of collaboration. When you stop valuing money, status, and power, those people stop having influence over you." 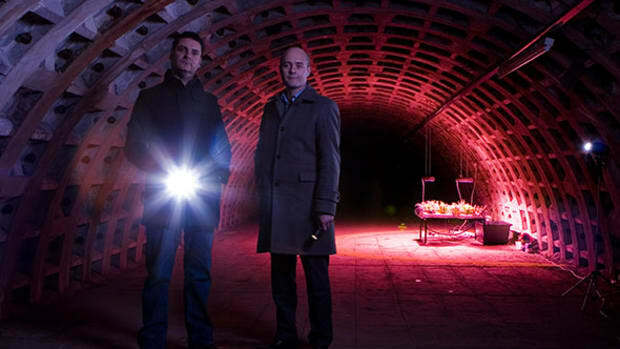 As for changing the world, maybe it is as simple as committing to more collaboration, and yes, urban farming. 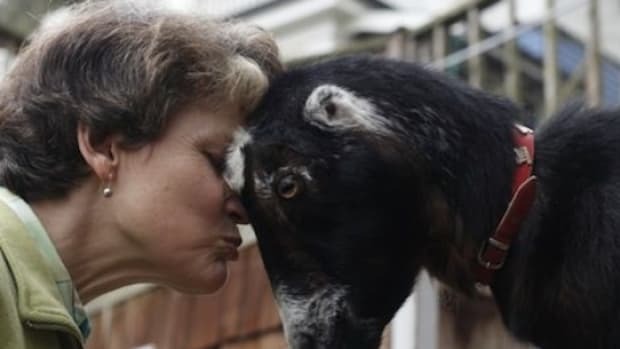 "The things that give us the most joy are the simple acts of community and the things that connect us to nature, and a community farm can bring both of those ideals together in a powerful way," says Brown. 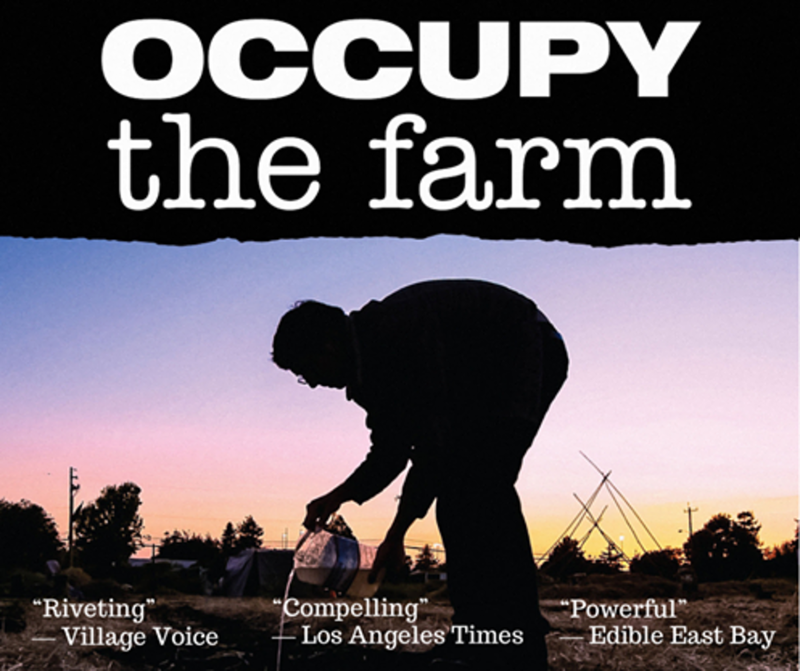 Want to see "Occupy the Farm"? Check out the Occupy the Farm Facebook page.